Ensure your gear stays dry and protected with the Infinite Dry Bag. Whether for the boat, rainy days, or casual beach day, the Infinite Dry Bag is perfect for any outdoor setting. Grab it now from WavesGear for just $25 and save 40% using promo code OCT-IDB40. Easy roll-top closure and thermal heated seams provide complete waterproof protection. The Infinite Dry Bag is odor and stain resistant, easy to clean inside and out with just water. Haul up to 30 liters using the adjustable shoulder strap, or remove it and use the side handle and D-rings for additional ways to carry and tie down your goods. The Infinite Dry Bag has a unique two-toned design and comes in black, blue, and yellow. With 40% off, choose either a single bag for $20, or a three-pack for $49. 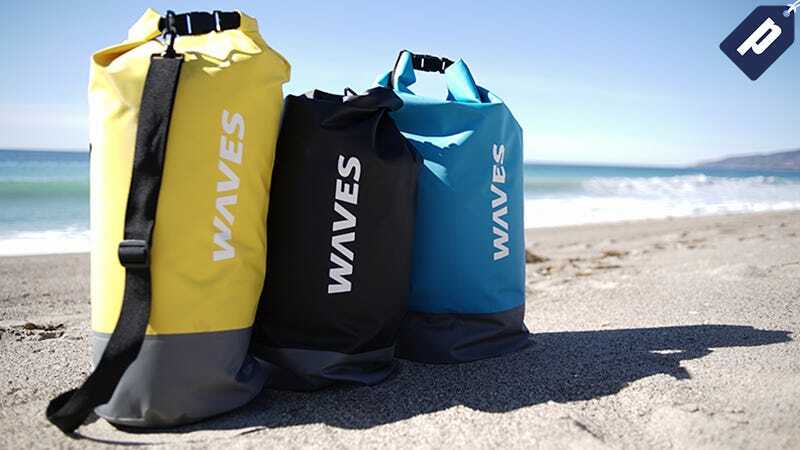 Grab the Infinite Dry Bag from WavesGear now for 40% off with promo code OCT-IDB40.